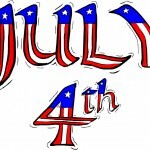 Everybody in the United States celebrates the Fourth of July holiday. The parties can be simple or they can be elaborate depending on what you want to plan. You can host parties that are musical celebrations or you can keep it simple and just do an old fashioned BBQ. Here are some tips for hosting a musical Independence Day celebration. Even if you are planning a Fourth of July party in your backyard you can still host a musical Independence Day celebration. The first thing you will have to do is to get some of the more patriotic music; you might be able to find a radio station that plays the patriotic songs but I wouldn’t count on it. The best place to find these songs is in a music store or on the Internet. Once you have the songs you can download them onto your computer so that you can burn them to a CD in the order you wish to play the songs. But remember if you plan on playing your own music you are going to need a stereo system hooked up in your backyard or classroom. If you are a teacher at a school you can get together with the other teachers to plan a musical Independence Day celebration. You can have the school choir sing patriotic songs or have the band play a few numbers. Or if you want to keep it strictly in your classroom, you can start teaching the children the words of the patriotic songs and then sing them in class for the day. You can also plan numerous activities for the kids that deal with the importance of the songs you have chosen and why they are sung on Independence Day. If you don’t want to have a party in your backyard you can always choose to go to patriotic concerts. Most cities plan some type of musical event for the Fourth of July. To find out what is close to you check your local music stores and town halls for fliers or signs that are listing upcoming concerts. You can also do some research online to see what is available in your area. Regardless of what type of musical Independence Day celebration you are going to plan there are many ways to go about planning your event. You can do themed parties based on a certain song or you can just play music in the background. Just keep in mind that when planning your own musical Independence Day celebration you will have to plan for other things besides music. Something to keep in mind when hosting a musical Independence Day celebration is that not everybody is going to want to sit around and listen to music. What you might want to do is use the music for the background and plan numerous other fun activities for your day. Another thing you can do is make a recording of your favorite patriotic songs and play them when you are lighting off fireworks. But to pull off this stunt you will have to plan ahead of time which fireworks you will light with which songs. If planned right, the music will only add to your firework show. Many professional fireworks shows employ this same concept, but remember that sometimes the noise from the fireworks can override the music. 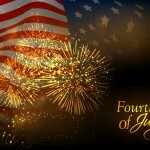 If you don’t want to trouble yourself with lighting off fireworks and planning the music you can always head to a planned musical Independence Day celebration. 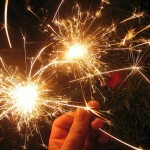 These events will include music, activities, a firework show, refreshments, craft booths, etc. But keep in mind that some celebrations are more low-key than others so do your research before heading out.